You’ve probably heard of the Big 5 game animals In Africa, but what about the Skelligs birds Big 5? Unlike lions, elephants, leopards, buffalos, and rhinos, the Skelligs Big Five are a nimble lot that spend little time on land, preferring to fill their days soaring and diving between sky and Atlantic off the south Kerry coast. And you don’t have to be afraid of them flattening you in a stampede. The guillemot is the largest member of the auk family, and is thus related to the puffin (see below). This dark brown and white bird can be confused with the razorbill from a distance, but it is longer and has darker armpits (really). Breeding at fewer than 10 sites in Ireland, the guillemot likes to nest in very crowded colonies and will fight over a nesting site a mere 5cm square. Nests are not really the guillemot’s thing; they prefer a more minimal approach, laying their eggs directly on the cliff ledge. Confusingly called Puffinus puffinus in Latin, the Manx Shearwater is a summer visitor, and Skellig Michael is one of the most important breeding colonies of the vulnerable species in Ireland. Like the Storm Petrel (see below), it is nocturnal. With its black and white plumage, low gliding flight action and distinctive bill, it is easy to recognise. Its eerie chuckling call and frequent high-pitched screams while nesting are also distinctive. The Manx Shearwater eats small fish, plankton, molluscs, and crustaceans, breeding underground in burrows. 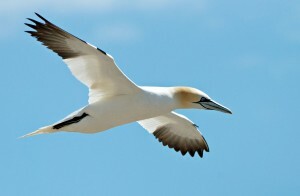 It is unable to walk and drags itself across the ground, making it easy prey for gulls—hence the nocturnal lifestyle. Like the Manx Shearwater, the European Storm Petrel is also a vulnerable species, and it too is nocturnal. 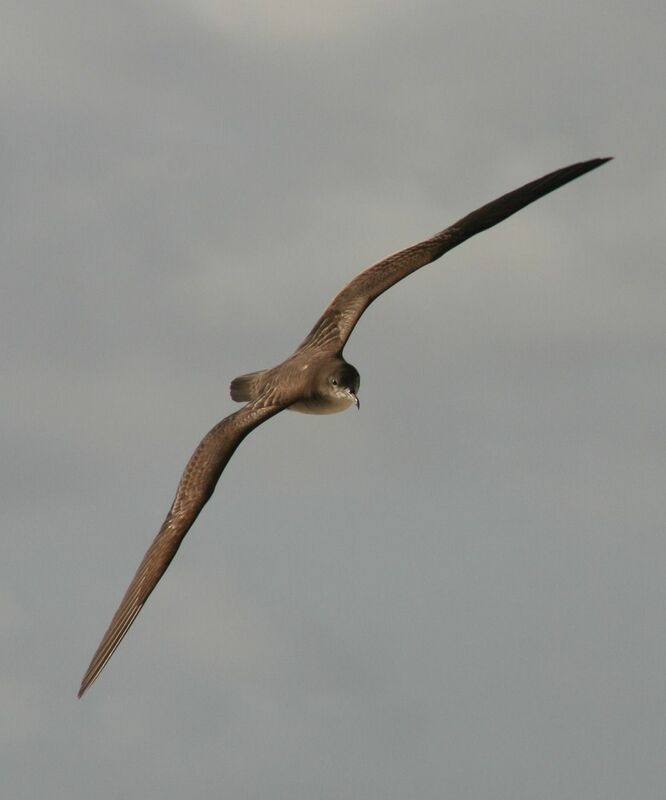 At about 27g, the petrel is the smallest Irish breeding seabird, weighing about the same as a house sparrow. Despite its diminutive size, it flies about twice the length of the Atlantic Ocean every year and lives up to 30 years. Ireland could have between 10% and 40% of the world’s population of petrels, but it is difficult to determine the population exactly because when they do come ashore, they do so to nest. Given that they nest in underground burrows and live a nocturnal existence, counting them is a bit tricky. The puffin may look like a sea parrot, but he is actually a member of the auk family. 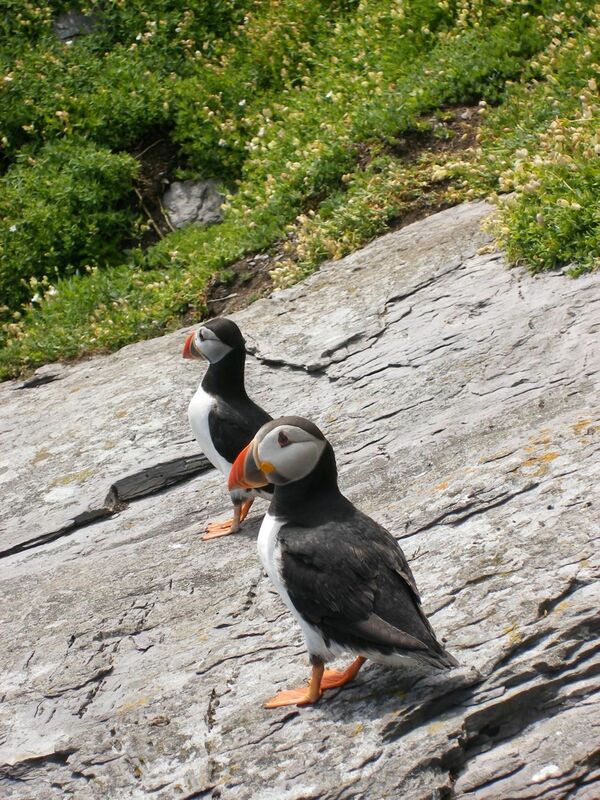 One of the most important breeding sites for puffins in Ireland is Skellig Michael, where they raise their young in burrows. Their child-rearing methods are rather unorthodox: Essentially, the chicks are fed huge amounts of food before the parents desert them. Over about a week, they lose weight and get hungry enough to leave the burrow. Then, on a late July or August night, they scurry from the burrow and head out to sea alone. Despite this hazardous start to life, puffins have been known to live to 34 years old.